Whether you’re looking for residential snow removal services or commercial snow removal services, Snow Removal Services Boston has you covered. ​Our fleet of superior equipment combined with our extensive team of snow specialists makes Snow Removal Services Boston Boston’s number one snow removal company each and every winter. From shoveling your sidewalks, to shoveling your businesses fire escape, our team of snow experts always has a service solution waiting for you! While we’ve talked about the importance of maintaining your business’ storefront on the other pages we haven’t discussed our other commercial show shoveling services. 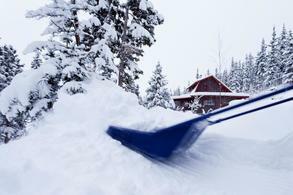 Snow Removal Services Boston specializes in all sorts of snow shoveling for businesses. From clearing snow away from important emergency exits, to shoveling snow away from secondary walkways and fire escapes, Snow Removal Services Boston has you covered. From clearing your seasonal deck to prevent damage to the wood, to shoveling snow away from your building to prevent flooding, Snow Removal Services Boston has all of your commercial snow removal needs covered. If one of your family members, or someone you know, has reached an age where snow shoveling is no longer conducive to their lifestyle, we’re here to help. From sidewalks and driveways, to outdoor living spaces and walkways, Snow Removal Services Boston is always here to assist. We’ll shovel away the snow that covers their most important areas. From clearing a pathway for their wheelchair lift, or maintaining a dedicated spot for their transit to pick them up from, we’re here to help ease the burden that snowfall can create for our most elderly customers. Whether we’re keeping their mailbox pathway clear, or clearing a secondary pathway for a support worker, Snow Removal Service Boston is always willing to customize a snow shoveling project conducive to the needs of the elderly. If you’re in charge of one of Boston’s most important public spaces, then clearing the snow can be a difficult task. Ensuring public spaces are free and clear of snow at all times is inherent to both safety and access. If you’re in need of some extra help, Snow Removal Services Boston has a service for you. From shoveling a pathway around your Christmas lights display, to ensuring your skating rink is clear of hazards, Snow Removal Services Boston is always here to lend a helping hand. We’re part of the community, and are always ready and willing to make recommendations and provide services for our most important public spaces. At Snow Removal Services Boston we’re always here to help create a snow shoveling schedule that works with you and your budget! Whether you only need help after large storms, or need your most important areas cleared after every snowfall, we’re always ready and waiting to help create a schedule that fits your lifestyle. From our comprehensive shoveling packages to light sidewalk snow removal, Snow Removal Service Boston is always available to help you with any snow removal job.